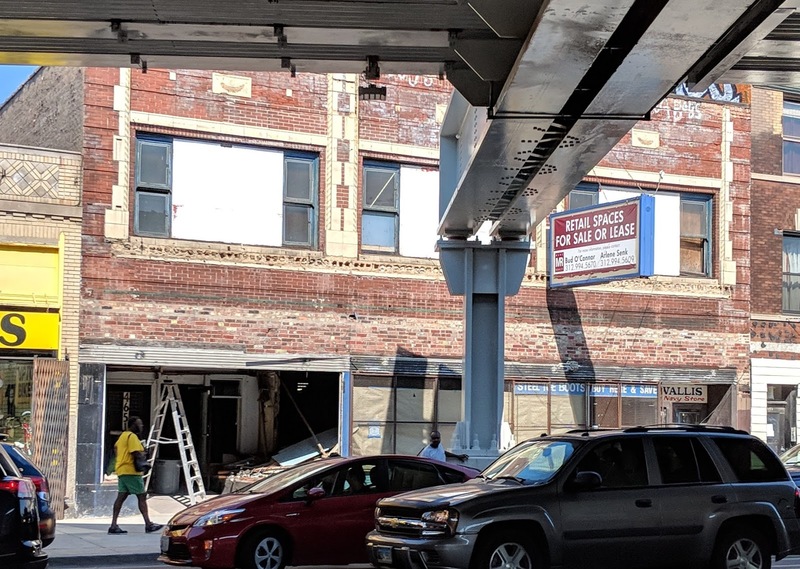 A building that was covered in blue siding for more than 55 years, and whose brick and terracotta facade has only recently seen the light of day is getting a new lease on life. "Core & shell renovation of vacant, existing 2-story building for future use (0 dus). work includes exterior tuck-pointing, new windows, new stair, and elevator." "RENOVATION OF EXISTING ONE STORY BUILDING FOR OFFICE USE (0 D.U.) WORK INCLUDES NEW STOREFRONT WINDOW AND ENTRY, NEW INTERIOR FRAMEWORK, AND MEP WORK."